Vikings (cut OT Bryant McKinnie) – We discussed McKinnie’s release in this post. Cowboys (cut C Andre Gurode) – Gurode has made the Pro Bowl the last five years, but the nine-year vet’s play no longer matches his price tag. It’ll be interesting to see what contingency plan the Cowboys have in mind, but it’s clear that Gurode still has enough in the tank to be at least an above-average center for someone. Bills (cut OLB Aaron Maybin) – Maybin, a former first-round pick, was an utter disappointment in Buffalo. He never provided much of a pass rush, and so his impact was negligible. His talent may earn him a look elsewhere, but it’s hard to see someone who was such a complete bust completely turning his career around. The Bills, under a regime different than the one that drafted Maybin, cut the cord after two seasons, indicating they thought he was a hopeless case. Jets (cut WR Jerricho Cotchery) – Cotchery has been a decent starter for the Jets, but after the Jets spent big money for Santonio Holmes and Plaxico Burress, his price tag proved to be too much. So the Jets (who also lost Braylon Edwards and Brad Smith) will likely try to add a veteran as the third receiver until Jeremy Kerley develops. Cotchery latched on with the Steelers. Saints (cut OT Jon Stinchcomb and DE Alex Brown) – Stinchcomb had started every game at right tackle the past five seasons for the Saints, and he made a Pro Bowl just two seasons ago in 2009. But his play slipped last year, and he’s not the heavy-duty run blocker the Saints seem to prefer at this point. So New Orleans saved $2 million plus and released him. Still, he’s good enough to start elsewhere, especially for a West Coast offense team. Brown, whom the Saints added last season, is a decent starting defensive end because he’s OK against both the pass and the run, but he’s no longer an impact guy. He lost his job as the Saints upgraded across the D-line and his pricetag no longer matched his expected contribution. Bengals (cut DT Tank Johnson, CB Fred Bennett and QB Jordan Palmer) – The Bengals gave the troubled defensive tackle a chance, and it worked out beautifully in 2009. But last season, Johnson’s performance fell off. If he can prove he’s healthy and stay on his best behavior, Johnson could still latch on as a backup DT elsewhere. Bennett, a former Texans starter, has completely fallen off the map. Palmer (the brother of Carson Palmer) lost a roster spot after the additions of Andy Dalton and Bruce Gradkowski. Titans (cut DT Jovan Haye) – Haye was a starter for the Titans in 2008-2009, but he lost his starting gig last year and then lost his roster spot this year. Still, he provides experience at a position of need, so he should find a job somewhere. Broncos (cut RB LenDale White) – The Broncos signed White after the Titans and Seahawks gave up on him, but he got hurt last preseason and missed the entire year. After adding Willis McGahee, White became expendable for Denver. Steelers (cut WR Limas Sweed) – Sweed, a former second-round pick, was supposed to replace Plaxico Burress in the Steelers’ offense, but injuries and inconsistency limited his impact. Instead, later draftees like Mike Wallace, Emmanuel Sanders, and Antonio Brown emerged, making Sweed extraneous. Some team will really be looking at the way-back machine if it is to give him a second chance. Ravens (cut FB Jason McKie and OT Oniel Cousins) – McKie is a decent fullback, but after the Ravens upgraded with Vonta Leach, he became expendable. Given the dearth of teams that use a fullback, McKie could have trouble finding work. Cousins entered camp as a potential starter at right tackle but lost the job and then a roster spot. The addition of Bryant McKinnie made Cousins an expendable piece. Eagles (cut DE Ricky Sapp) – Sapp, a fifth-round pick in 2010, was battling knee injuries and roster depth before he left the Eagles early in camp. Given their depth, the Eagles decided to cut Sapp instead of keeping his rights. Patriots (cut safeties Brandon McGowan and James Sanders) – McGowan, who was a starter at free safety for the Patriots in 2009, had fallen behind youngsters Patrick Chung and Brandon Meriwether at the position. So he was released. The more surprising cut was Sanders, who was a starter and a regular last year and a starter in the third preseason game two days before his release. He’s still good enough to fit in somewhere. Redskins (cut PK Shayne Graham) – Graham lost out in a kicking competition with Graham Gano. The vet will likely become an injury replacement somewhere before the season is out. Rams (cut LBs David Vobora and Na’il Diggs) – Vobora, a former Mr. Irrelevant, was a stat-minded favorite, but his talent wasn’t going to justify a roster spot. It’ll be interesting to see if an analytics-driven team gives him a shot. (UPDATE: Seattle did.) Diggs is a solid veteran who is a replacement level starter at best. He will find work as an injury fill-in at some point. Lions (cut RB Mike Bell, DT Montavious Stanley, and PK Dave Rayner) – Bell, one of the running backs whom the Lions signed after Mikel Leshoure’s injury, failed to make an impact to win a job. Stanley provides decent depth at tackle but lost a job on Detroit’s deep line. Rayner did a good job filling in for Jason Hanson last year, but Hanson’s back for his 20th year in Detroit. Jaguars (cut WR Tiquan Underwood) – Underwood, a former sixth-round pick, becomes the first draft pick of the Gene Smith era to be cut in Jacksonville. His three years were underwhelming, and the Jags have added a ton of other receivers in the draft since he was selected. Chargers (cut LS David Binn) – Binn played 17 years for the Chargers, but he’s always been small for a long snapper and no longer holds up. The Chargers’ special teams problems last season ultimately led to many changes, including this one. NFL teams see needs surface during training camp, and players who need a job try to capitalize by coming in late to win roster spots. This post comments on training-camp signings through August 19. For signings earlier in the offseason, go to the pre-camp signings post and work your way back. Signings later in the preseason will be covered in a subsequent post. 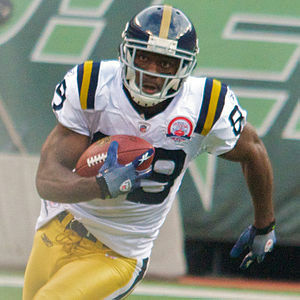 Jets (add WR Laveranues Coles) – Coles returns for a third tour of duty with the Jets after a single disappointing season in Cincinnati. Coles’ main role with the Jets will be to fill in for Santonio Holmes during his four-game suspension to start the season. Coles won’t produce like Holmes will, but he provides a veteran balance to Braylon Edwards and Jerricho Cotchery in the first month of the season. Broncos (add RBs LenDale White and Justin Fargas) – White, who had some good years with the Titans, blew his chance with his old college coach Pete Carroll in Seattle, and he faces a four-game suspension to start the season. But the Broncos, who lost Knowshon Moreno and Correll Buckhalter to training-camp injuries and traded away J.J. Arrington, needed a professional running back during camp and turned to White. He may just be a camp body, but if he shows promise, the Broncos might keep him around. Fargas, though, is a better bet to stick around. Although he’s now 30, Fargas still has the ability to be a decent performer if given an opportunity, and he has fewer miles on his tires than other backs his age. It’s entirely possible that Fargas could even usurp Buckhalter as Moreno’s backup. The fact that Fargas won’t miss four games to start the season also gives him an edge over White in terms of making the opening-day roster. 49ers (add RB Brian Westbrook) – The 49ers responded to the retirement of Glen Coffee by signing Westbrook as Frank Gore’s backup. Westbrook had a dynamic eight-year career in Philadelphia, producing big numbers as a runner and receiver and proving to be a team-first, smart guy. The problem with Westbrook was his durability. He missed games in every year of his Eagles career, and that durability is one of the reasons the Eagles moved on. Because San Francisco relies on Gore so heavily, Westbrook will have a limited role, and that may enable him to last throughout the season in San Fran. For a 49ers team trying to move into the playoffs again, Westbrook is a worthwhile investment as a role player. Titans (add DL Raheem Brock) – Brock is a versatile lineman who can hold up outside or serve as a pass-rusher inside at defensive tackle. Plus, he comes from the Colts, so he’ll bring some insight to town for the division-rival Titans. At age 32, Brock doesn’t have a lot left, but he’s probably still good enough to fill a reserve role for a contender like the Titans. Saints (add RB Ladell Betts) – The Saints responded to Lynell Hamilton’s season-ending injury by adding ex-Redskin Betts as their No. 3 back. Betts spent his first nine years in Washington, and although he was a lead back in just one year, he proved his value as a versatile back who can block and catch in addition to run. He steps in for Hamilton in the role that Mike Bell had last year for New Orleans as Pierre Thomas’ counterpart and short-yardage specialist. Betts may not be the thumper that Bell was, but he’s good enough to allow the Saints to keep Thomas fresh, and that’s all they could hope for with a mid-August replacement. Eagles (add UFA WR Kelley Washington) – Washington, who has stuck in the league for seven seasons as a big, rangy special-teams guy, actually showed some skill as a receiver last year with a career-high 34 catches. Now he moves from Baltimore to Philly, where he will be the fourth receiver and fill the role that Hank Baskett dropped last year. That’s an upgrade for the Eagles. Colts (add UFA CB DeShea Townsend) – Townsend has played 12 years, all with the Steelers, and he remains a solid No. 3 or No. 4 corner. The Steelers didn’t want Townsend back, but he’ll be a nice veteran presence for the Colts’ young corner group. Seahawks (add DT Quinn Pitcock and LB Tyjuan Hagler) – Pitcock played one year with the Colts after being a third-round pick in 2007, but he retired. He said the reasons were depression and a video-game addiction, both of which made him less than excited to play football. But the former Ohio State player says he’s excited about football again, and the Seahawks hope he can recapture the potential he showed as a collegian and a rookie. It’s worth a low-cost shot for the club. Hagler spent the last five years with the Colts, starting 17 games over the last three years. He adds depth in case Leroy Hill’s off-field problems sideline him for an extender period of time. Dolphins (add OG Randy Thomas) – Thomas only played two games last year, but he’s been a long-time starter with the Redskins and the Jets before that. He’s near the end of the line, but he’s probably still good enough to start if Miami gets in a pinch inside. He’s a nice depth addition in mid-August. Chargers (add S Quinton Teal) – Teal, who played the first three years of his career in Carolina, lands in San Diego after an offseason stop in Seattle. Teal is a replacement-level safety who adds depth to the Chargers’ backfield. Saints (add WR Mark Bradley) – New Orleans has a deep corps of wide receivers, but they still decided to add Bradley, who played for Kansas City and Tampa Bay last year. Bradley has never lived up to his potential as a second-round pick in Chicago, but he’s a professional receiver who could be a No. 5 for someone – though probably not the receiver-rich Saints. Patriots (add OG Eric Ghiaciuc) – Ghiaciuc, a three-year starter in Cincinnati, has bounced around the past several years, but he could still add depth for the Patriots up front, especially with Logan Mankins holding out. Bears (add QB Matt Gutierrez) – Gutierrez, the former Patriots third-stringer who was with Kansas City last year, comes on board to try to beat out rookie Dan LeFevour for the backup QB job behind Jay Cutler. The Broncos added a name guy and lost a name guy this week, but the loss of OLB Elvis Dumervil to a torn pectoral muscle far outweighs the addition of RB LenDale White. Below are thoughts on both situations. Dumervil stayed away from offseason work in Denver until he got a new contract, but just after he signed his $60-million-plus extension with $43 million in guaranteed money, he tore a pectoral muscle in training camp. He’ll miss four months, which takes him into the final quarter of the season and could lead the Broncos to put him on injured reserve. That’s a huge blow, because Dumervil developed into a premium pass rusher in Denver’s 3-4 defense last year. His 17 sacks were nearly half of the team’s 39, which is a statement about how good Dumervil was and how little other pass-rush help the team has. Without Dumervil, Denver’s 3-4 will undoubtedly struggle to pressure the passer, which will lead to more gimmick pass rushes that put more pressure on the secondary. For a team whose defense collapsed down the stretch, that’s a recipe for disaster. Now that Brandon Marshall and Jay Cutler have been shipped out, Dumervil was one of the two best players Denver had, and losing him is a massive blow that changes the course of Denver’s season. The fact that another of Denver’s elite guys, OLT Ryan Clady, is still trying to get back from an offseason torn patella tendon only makes the Broncos’ prospects bleaker. Meanwhile, White, who had some good years with the Titans, blew his chance with his old college coach Pete Carroll in Seattle, and he faces a four-game suspension to start the season. But the Broncos, who lost Knowshon Moreno and Correll Buckhalter to training-camp injuries and traded away J.J. Arrington, needed a professional running back during camp and turned to White. He may just be a camp body, but if he shows promise, the Broncos might keep him around.